Mogadishu (HAN) October 30, 2014. Expert Analysis, Your Power & Regional Influence Magazine, opinion page By Abdi Moalim in Mogadishu (SABAHI). 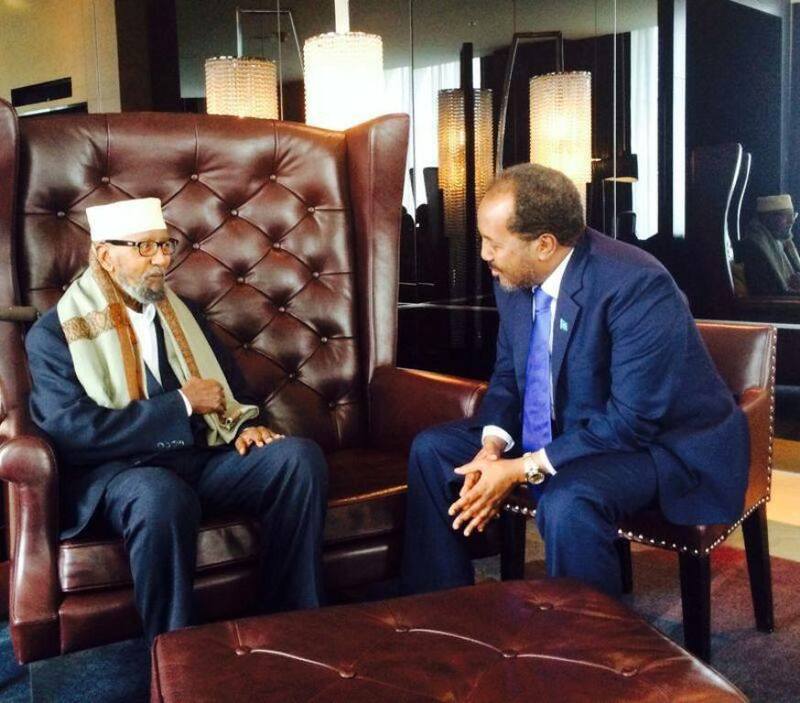 Less than a year ago, growing tensions between Somali President Hassan Sheikh Mohamud and former Prime Minister Abdi Farah Shirdon over the ministerial selections for a cabinet reshuffle ended with the Somali parliament voting to unseat the prime minister. Fast forward to October 2014, and a similar political rift has emerged again, this time between Mohamud and a prime minister he appointed just ten months ago to replace Shirdon. Prime Minister Abdiweli Sheikh Ahmed on Saturday (October 25th) announced his decision to reshuffle the cabinet, apparently without consulting the president. Mohamud then voiced his objection to the changes, criticising Ahmed for “making outrageous decisions” and declaring the reshuffle “null and void”. 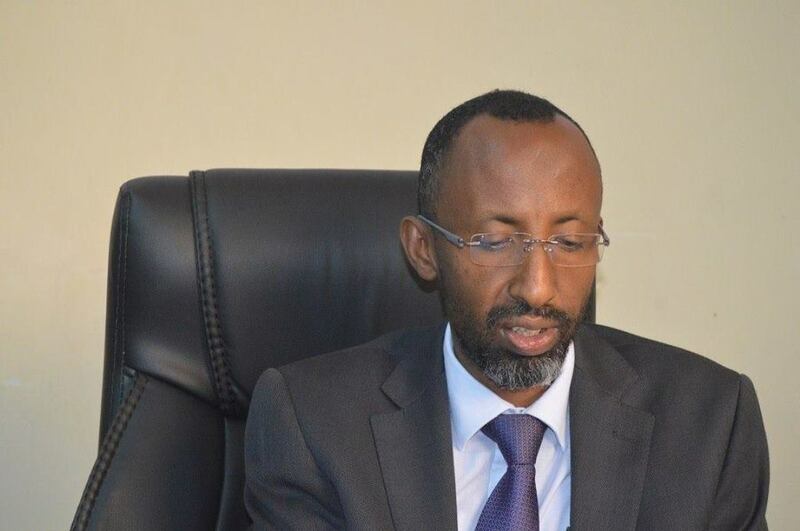 Ahmed’s re-organisation swapped the positions of the minister of livestock and animal husbandry and the minister of justice and constitutional affairs and also impacted two state ministers and four deputy ministers. The president also used the statement to highlight some of the progress his administration has made, such as reviewing and implementing the constitution, building federal states and democratising the country in order to hold free elections in 2016. Mohamud said the country’s progress towards a stable government — including the war against extremist groups, rebuilding government agencies and creating administrations for many regions — should not be disrupted by political infighting. So far, the ministers in question have followed the president’s instructions and remain in their posts, but the power struggle between the country’s top leaders is negatively impacting the work of the federal government, political analysts say. “The problem lies in how the cabinet will convene or work because the prime minister reshuffled ministers, deputies and state ministers, while the president has ordered them to continue with their previous duties,” said Omar Dahir Sheikh Abdirahman, director of the Mogadishu-based Centre for Moderation and Dialogue. “It will be difficult for the prime minister to interact with those ministers, therefore, the entire work is at a standstill,” he told Sabahi. Abdirahman said the row between the president and prime minister threatens to halt government work and harm the government’s previous victories and future goals. As in the previous disagreement between Mohamud and Shirdon, the current conflict could lead to a pre-occupation with the disagreement instead of focusing on working for the country, Abdirahman said. The government has been engaged in efforts to establish federal states, such as the conference in Baidoa this week and the reconciliation conference in Kismayo in September, he said. Preparations are also under way for the international conference on Somalia that will take place in November in Denmark. “The people who should be working towards progress will be distracted by the political power struggle within the government, and will think about how each group can defeat the other with government time wasted on meetings to achieve that,” he said. This conflict will present a significant setback to the progress the government has made on its Vision 2016 goals, said Abdishakur Sheikh Hassan, director of the Somali Centre for Education and Research in Mogadishu. “This issue will have a negative impact on the work that has already been done, and will damage any prospect for moving forward,” he told Sabahi. Somalia’s leaders are facing big problems they are expected to tackle instead of fighting among themselves, Hassan said. “There are severe droughts in the country, and since the government does not have the requisite funds, it should be at least co-ordinating the support and aid from the international community and distributing it to the impacted areas,” he said. The power struggle will also impact efforts to improve security and fight terrorism and to create federal state administrations, he said, and may exacerbate tribal conflicts in regions such as Hiran and Lower Shabelle. “This issue could demoralise the Somali troops, who already [work] unpaid, while boosting the morale of the government’s enemies,” he said, adding al-Shabaab could take advantage of the political instability to retaliate and recuperate from its recent losses. Legal experts say the disputes between the two leaders are due to the government’s failure to establish a constitutional court responsible for making decisions on such issues. “The problem is that there is no legal rule that demarcates the powers of the government’s offices, and that is how governments function,” said Somali International University president and lawyer Yahye Ali Ibrahim. The articles of the constitution define the powers of the president and the prime minister, but they are not clear enough, so they need interpreting but there is no court to interpret them, he said. “There has to be an independent constitutional court that says, ‘This is what you are allowed to do and this is what you cannot do, you have overstepped your boundaries and these are the laws that apply to you,'” he told Sabahi. The president has accused the prime minister of overstepping the constitution. However, Ibrahim said neither the president nor the prime minister has the right to accuse the other of infringing on the constitution, as this is the role a constitutional court would take. “Since there is no constitutional court to make a decision on the articles of the constitution, each leader is just arguing that the constitution has been broken,” he said. For his part, Somali Speaker of Parliament Mohamed Osman Jawari said he was confident the president and prime minister will resolve their differences internally through legal channels. The prime minister has not issued a public response to the president regarding his cabinet reshuffle, and did not raise the issue during the cabinet meeting he chaired on Monday.